"And Noah awoke from his wine, and knew what his younger son had done unto him." "And Sarah saw the son of Hagar the Egyptian, which she had born unto Abraham, mocking." Ishmael and Isaac: What did Sarah see? "Every abomination ... the Lord ... hateth." "There were also sodomites in the land: and they did according to all the abominations...."
"Who is on my side? who? And there looked out to him two or three eunuchs." "They declare their sin as Sodom, they hide it not. Woe unto their soul!" "I have seen also in the prophets of Jerusalem an horrible thing: they commit adultery, and walk in lies: they strengthen also the hands of evildoers, that none doth return from his wickedness; they are all of them unto me as Sodom." "And they were haughty, and committed abomination before me: therefore I took them away as I saw good." "Neither shall he regard the God of his fathers, nor the desire of women, nor regard any god: for he shall magnify himself above all." "Whatsoever city ... receive you not ... it shall be more tolerable in that day for Sodom, than for that city." Homosexuals (vv. 27-28) and their supporters (those "that have pleasure in them") are "worthy of death" - along with gossips, boasters, and disobedient children. John isn't talking about the snowman here. 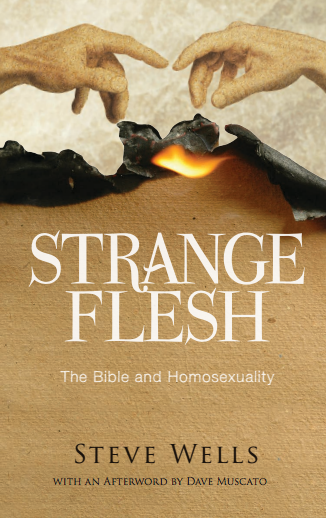 According to Robert Gagnon (The Bible and Homosexual Practice: Texts and Hermeneutics), it's homosexuals. "The reference to 'the abominable' (ebdelygmenois) matches up with 'dogs' in [Rev] 22:15." "Dogs [homosexuals? ], sorcerers, whoremongers, idolaters" and along with anyone who ever told a lie will not enter the heavenly city.